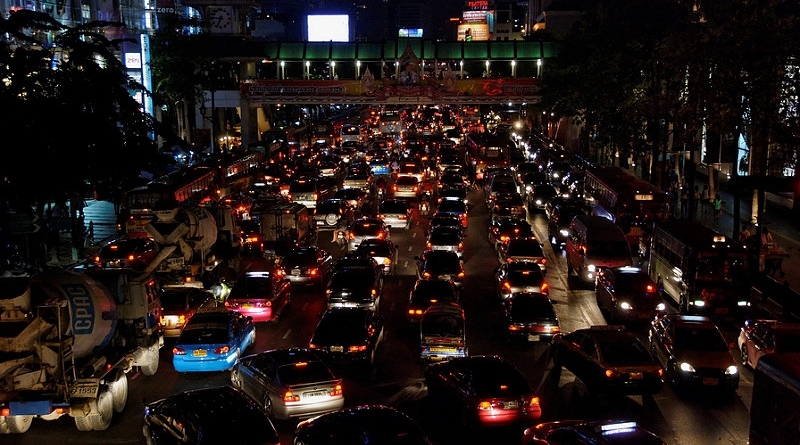 Leading cause of Bangkok traffic found. This research was done by a Facebook user named “SvNithi Yupho”. Where she had always had bad experiences of driving into alleys that lead to nowhere for over 10 years. 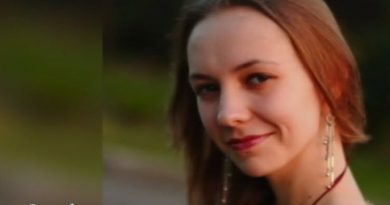 She explained that she often dropped friends off at their homes, and the roads always ended up in a blind alley. She decided that there must be an answer to this question. After researching the roadmap of Bangkok, she found out that over 37.19% of the roads in Bangkok are blind alleys that lead to nowhere. It is an everyday experience for Bangkok drivers to drive into a small alley (Soi) and then end up at a blind spot, with no other options than to enter into the main road. This causes a build up on the main roads causing an overflow, the main reason for traffic. 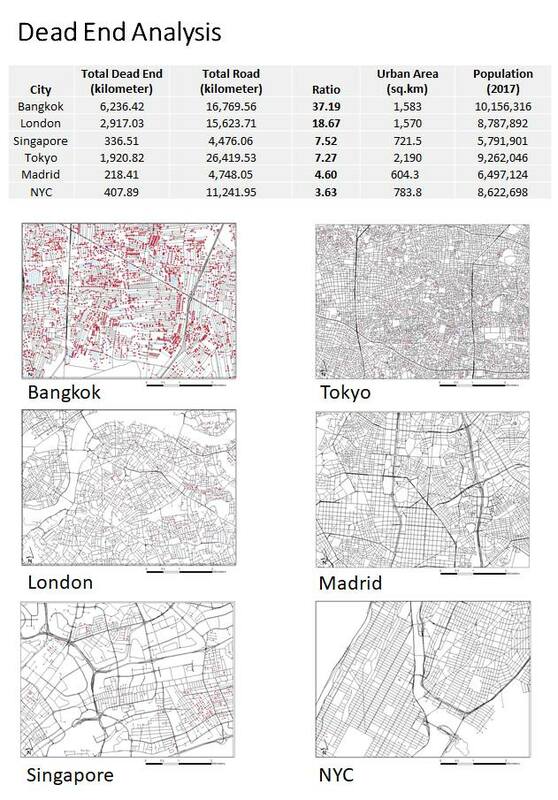 Furthermore, comparing the Bangkok city map to other major cities such as London, New York, Singapore, and Tokyo. It is clear that the roads in Bangkok have resulted in a mess represented through the map of the city as a result of the construction of alleys that were not designed with the end results of the main roads in mind. In London, blind alleys make up about 18% of all roads, Singapore and Tokyo blind alleys make up about 7% of all roads, and in New York there exists only 3.6% of blind alleys. Bangkok is a perfect example of what the result is from a bad city plan. The perfect role model of a successful city plan is New York. 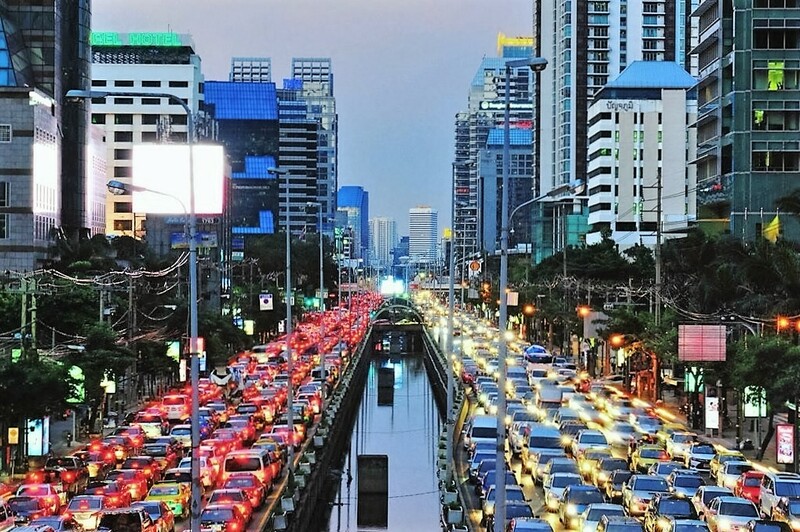 Roads are designed with rectangular intersections that are connected smoothly, resulting in shorter traffic periods as cars don’t have to crush into the main road from the small alleys that all connect to one road as in Bangkok. The smooth road connections also give drivers many options on different roads to take in order to end up at the same destination, wherein Bangkok such options are rare and often non-existent. The alleys are also is a big reason why drivers have made a decision to purchase their own personal cars as public transportation cannot reach into the location of their homes, often resulting in excessive cost of taxi rides or motorbike rides (Win) constituting costs so high when combined with other public transportation costs is equivalent to buying your own car. Thus, although cars in Thailand are expensive due to car taxes, it still makes sense to purchase your own car for the convenience and the build-up from public transportation costs. FB Caption: Over 37.19% of the roads in Bangkok are blind alleys that lead to nowhere, making cars line up to enter the main road.